The Subir Raha Memorial Lecture is an annual event held to honour Late Mr. Subir Raha, former CMD, ONGC and the Founder President of the Global Compact Network India. Mr. Raha set up the organization in November 2003 and led it till May 2006. His visualization and forethought has been instrumental in leading the GCNI to become one of the first networks of the United Nations Global Compact, a legal entity. Late Mr. Subir Raha, led ONGC towards the achievement of multiple milestones during his tenure. He also led ONGC from a sectoral E&P company to become an Integrated Energy Major on a global scale; acquiring many equity assets overseas. His vision and foresight made ONGC the first Indian Corporate to lead the agenda on responsible business in India. 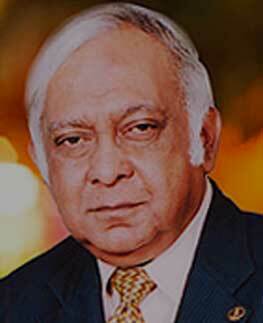 Subir Raha, former CMD ONGC and former Chairman ONGC Group of Companies left for heavenly abode on 01 February, 2010. The Memorial lecture is for us a solemn event where we homage to the achievements of a great leader. Born on August 28, 1948 Mr. Raha graduated in Electronics & Tele-communication Engineering from Jadavpur University in 1969. He was also an alumnus of the Administrative Staff College at Henley of Leeds University, UK. ONGC achieved multiple milestones during his tenure. ONGC's market capitalisation zoomed to become the highest among all Indian Corporate. He was personally instrumental in ONGC acquiring MRPL and turning it around from almost BIFR status to the present Maha-Ratna status. He also led ONGC into aggressive exploration, especially in deep waters of India, and initiated IOR/ EOR projects to arrest the production decline of its mature fields. Before joining the Indian Oil Board, he also served on deputation (1996-98) with the Government of India as the Head of the Oil Coordination Committee, Ministry of Petroleum & Natural Gas. The lecture since its inception in 2010 has been attended by Corporate Leaders, CMDs and Senior Managerial Personnel from leading private and public sector companies. The informative value of the lecture has also drawn students from leading academic Institutes and development professional from non-governmental organizations.